45cm cushion in a rainbow of colours as appears on video on homepage! 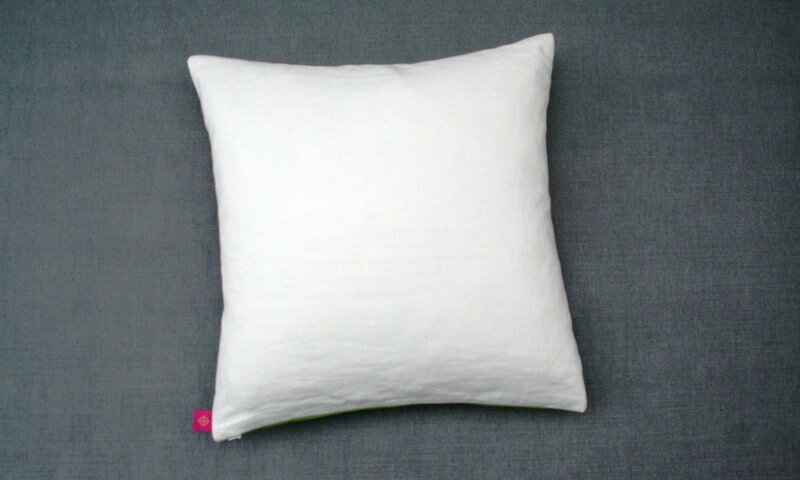 Cushion has a white linen back, concealed zip, feather pad and brand label. This cushion is dry clean only. 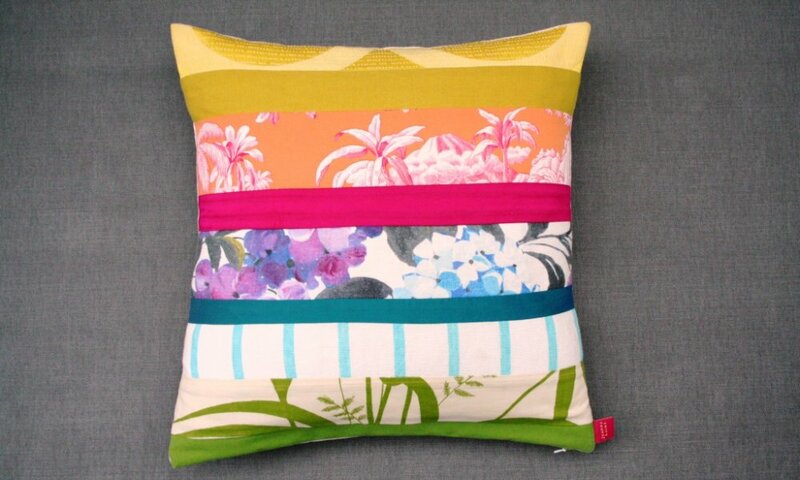 Each edge rainbow cushion will be slightly different due to the fabrics available but will always have a cheerful front.